New video from Alex Morton, the second in his “Yesterday, Today, and Tomorrow” series. “Yesterday” was released in October 2011, so enjoy this one…because “Tomorrow” might not be here for a while. Yoyo used is the Chief by CLYW. Juggler Wes Peden has released a new 45-minute show called “Water on Mars”, and it’s absolutely incredible. Water on Mars is a compilation sequence by Wes, Tony Pezzo, and Patrik Elmnert presenting routines, patterns, and tricks the three have been developing for the past 3 years. The project was motivated by good tricks, good angles, and the possibilities for prop transitions when you have extremely competent assistants. The video contains 81 new patterns, the 5 club diamond lock, an upside down albert triplex, a 11 club pirouette, the best 5 ring routine alive, and synchronized 7 clubs. 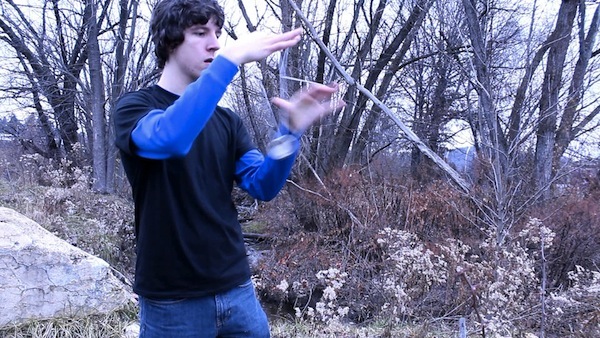 Training under Jay Gilligan, Wes has established himself as one of the most creative voices in modern juggling. Check out this trailer, and then head over to his site to buy the full show as a digital download for only 15 euros (about $20 USD). 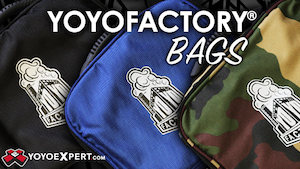 You’d be hard pressed to find a more creative, passionate, drive group of professionals then those of the YoYoFactory Team. World and National Champions, International icons, Trick innovators. Each move of each trick is meticulously refined to be the most valuable, jaw dropping maneuver on stage, or film. Paulo is no exception. Holding it down for us in Southern California, and ushering in a new generation of Champion Yo-Yo Players, his tricks are deep. This new concept video takes it beyond just a new set of tricks, but explores a larger flow and visual concept that is wonderfully executed. The folks over at Kengarden just posted this fantastic video…great tricks, good laughs, and it’s amazing how much all skill toy folks seem to get equally silly when they hang out together. Great stuff! || YoYoJam RING MASTER || We met up with AJ Kirk to film an official video for his upcoming yo-yo release of the YoYoJam Ring Master! 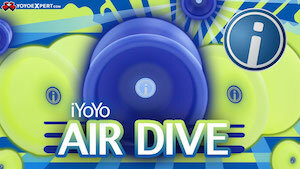 This is a great new yo-yo coming soon from YoYoJam! A great trick video from Jesse Christe. Really nice movement and trick construction…great stuff! Malcolm from Singapore posted this fantastic trick…too good not to share! YoYo used is the Duncan Metropolis. Ibrahim Rahman, better known as IBS, gives us Basement Session #1. Stellar! The Pacific Northwest Regional contest was held yesterday in Seattle, WA, and Team YoyoFactory took home no less than three of the four titles! Gentry Stein winning 1A and Miguel Correa in 5A come as no surprise, but 2A was won by none other than two-time World 1A champion Yuuki Spencer! 3A winner was YoyoJam’s Yoshi Mikamoto, and 4A was won by Zach Rubino. Kentaro Mannen Wins 5th North Japan Yo-yo Contest Title! Kentaro Mannen continues to dominate the North in Japan and won 1A division at the North Japan Yo-yo Contest for the 5th time in a row! This year’s North Japan Yo-yo Contest (NJ) was held earlier today in Sapporo, Hokkaido. Veteran Sojun Miyamura took first in 5A, and Yasuki Tachibana won 3A. In 4A, Tomohiko Zanka took home the title, and Yuuzo Okada won the 2A division. Mexico is no doubt quickly becoming a hot country in the yo-yo scene, and clearly ahead of the pack are YoyoFactory’s duo Luis Enrique and Paul Kerbel, who took first and second place at Mexico’s Winter contest, held last month. While Paul has been competing internationally for a couple of years, Luis Enrique hit fast and hard this year, taking not only the Winter contest, but also the Summer contest in July and an impressive 5th place at this year’s World Yo-yo Contest. Paul comes from a win at this year’s Mexican national contest, the Triple Crown of Yoyo‘s East Coast Classic title, and a very respectable 7th place at the World Yo-yo Contest. As demonstrated by Singapore’s recent success, the key to developing highly successful players may be a strong local competition scene, and that’s exactly what we see in Mexico right now. We look forward to seeing more of those guys!